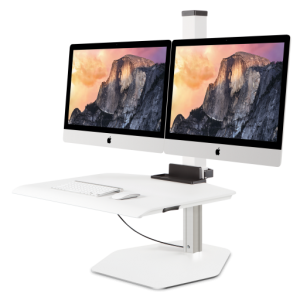 No need for table-top kiosks and touch-screens to occupy valuable table space – our floating 3520 monitor arm mounts to the underside of the table. 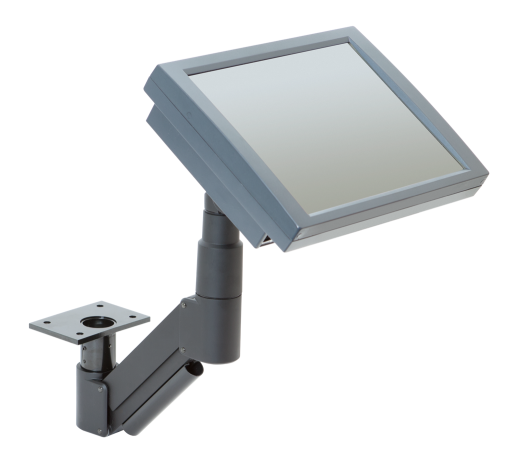 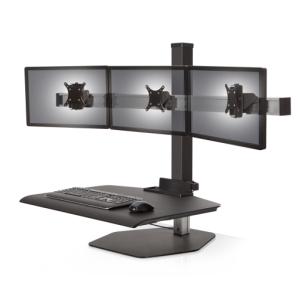 Users can quickly move the monitor to a comfortable viewing height and angle, and then stow the monitor arm away when not in use. 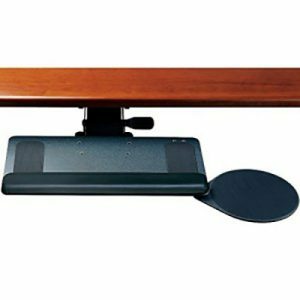 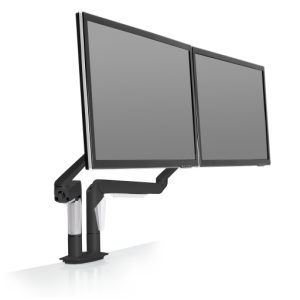 This height-adjustable monitor mount accommodates users of various sizes.